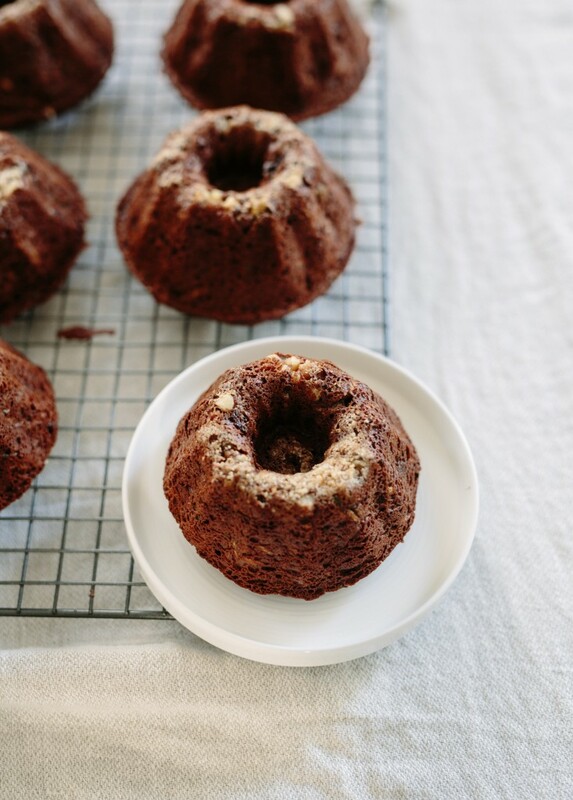 Chocolate zucchini cake is a nostalgic treat for me. This cake makes me think of home and childhood memories including my sister blowing out candles on a very similar cake recipe to this. It’s been one of my sister’s birthday cakes since I can remember. When I came across a recipe in one of my favourite cookbooks, Seven Spoons, I had to try Tara’s version. The original recipe calls for olive oil but I used coconut oil instead. I’ve made it both ways and I really can’t tell the difference. My mom always added cinnamon to her cake so I did as well. This bread is loaded with zucchini, which in my world means you can eat this for breakfast, snack or a delicious dessert. 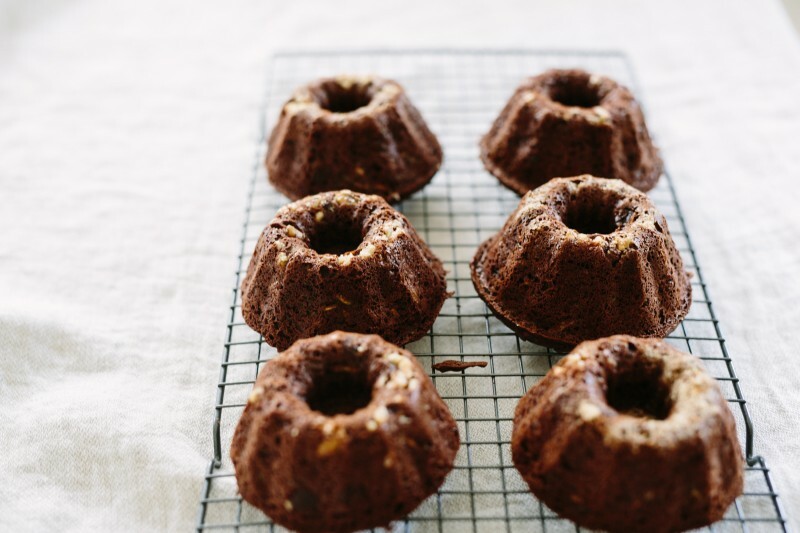 I make half of this recipe into muffins excluding nuts for the kids lunch bags and the other half for little Bundt cakes to serve as dessert. This recipe also bakes into loaves. 1. Preheat the oven to 350 degrees F. Line a muffin tin with parchment liners. If you are using a loaf pan, line with parchment and lightly grease. 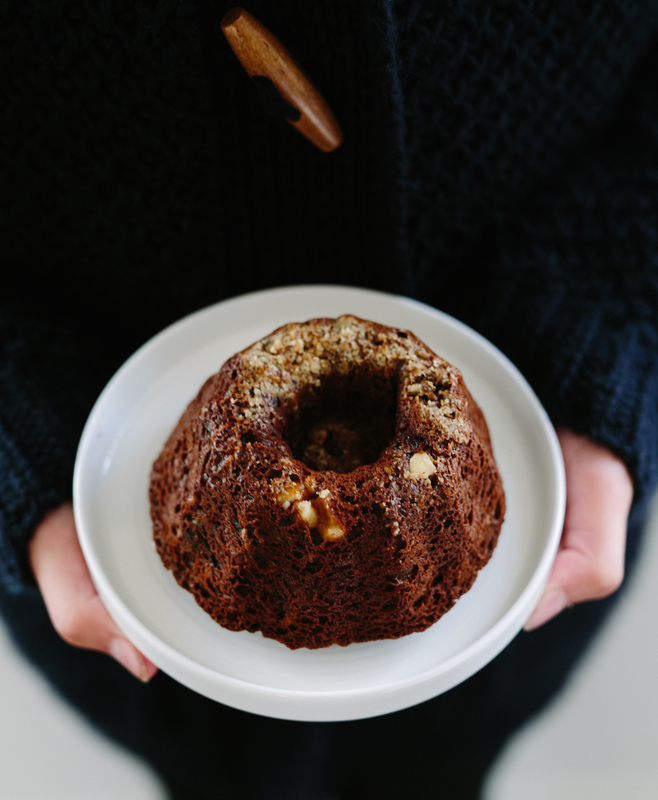 If using a Bundt pan, grease with coconut oil and place a few teaspoons of chopped walnuts into the pan. 2. Grate the zucchini and place in a bowl. Double fold a paper towel and squeeze the zucchini to expel the moisture. 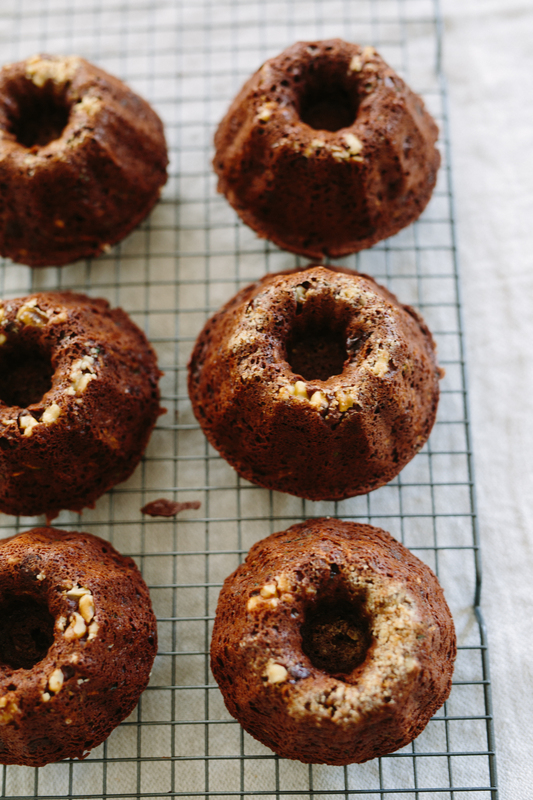 Set aside and repeat just before adding the zucchini to the batter. 3. In a large bowl combine the flours, cocoa powder, baking soda, baking powder, sea salt and cinnamon. 4. In another bowl combine the coconut oil, buttermilk, eggs, coconut sugar and vanilla.